Girls' Cricket - London Finals - CHAMPIONS again!!! 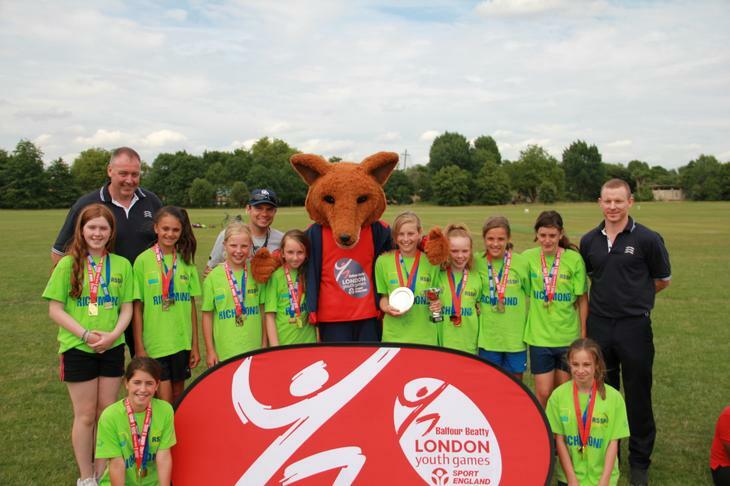 The girls’ cricket team headed to Regents Park to play in this year’s London Finals after being crowned champions of Richmond upon Thames. After winning both group games comfortably we qualified for the last 16. We dispatched Merton quickly and moved on to a meeting with Hammersmith & Fulham in the Quarter Finals. A much closer affair saw us win by 12 runs and move forward to the Semi-Final where Haringey were the opponents. Super cricket all round ended with another close win and the chance for gold in the final was there! A strong and talented Hackney team were our opponents in the final. We bowled with pace and accuracy to leave us chasing 254 to win. With an over remaining, we still needed more than a run a ball but some cool and cultured strokes saw us home. Angus Fraser presented us with our medals and the title of Finest Girls’ Primary School Team in London!!! What a tremendous achievement girls. We are so proud of you all!!! You are not only fine cricketers, but wonderful role models for everyone at Collis.